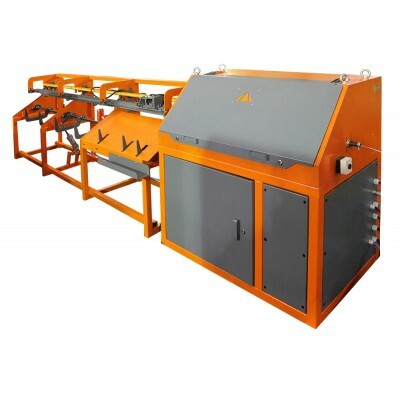 Straightening and cutting machines are designed for automatic unwinding wire from the coil and cutting to appropriate length. 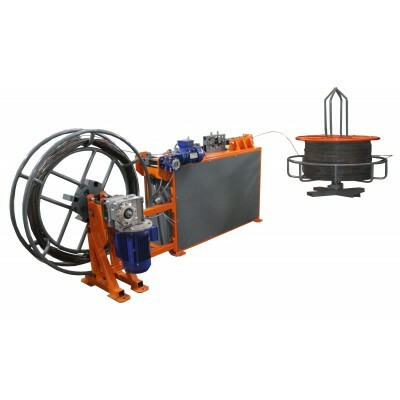 Straightening stage is performed repeatedly by transverse bending of the wire by two spinnerets installed in the slots of the correction block. The wire feeding is driven by rollers. 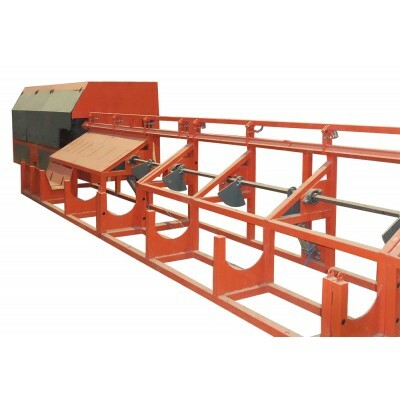 Straightening and cutting machines in automatic mode allow specifing the required length and number of bars via the control panel. 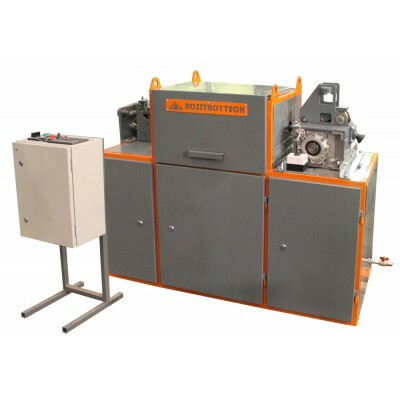 High-speed Straightening and cutting machine with Automatic uncoiler included. 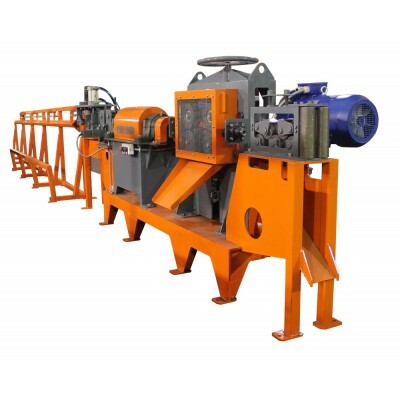 Basic features and advantages: Servo feeding and cutting; Autotripper with an additional tray for unloading without stopping the machine; Milled frame for fine tuning; Most wear components manufactured using powder metallurgy techniques and are made of special hard alloy tungsten-cobalt; High-quality strai.. 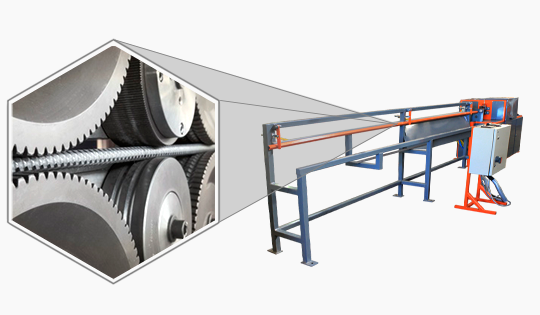 The Automatic Uncoiler is designed primarily to handle large quantities of low tensile wire on carriers. 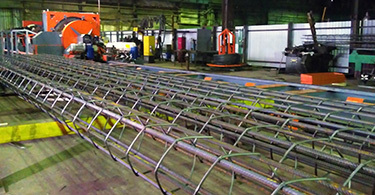 Using a combination of control methods of inverter technology help to improve the accuracy and speed of production of the rods, but also can be used as the other machines feed use. 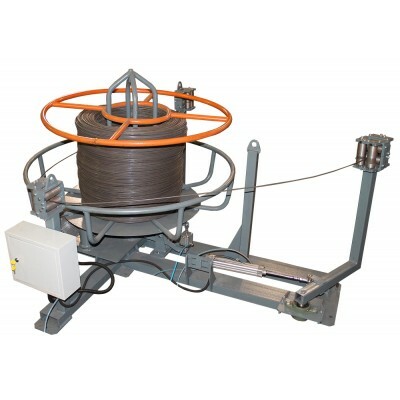 Optimal wire diameter range is 3 to 6mm however diameters up to 8mm have been successfully handled on this mach..
Rewinder wire machine with gear is designed to rewind wire from the coil on a bobbin up to 150 kg weight. 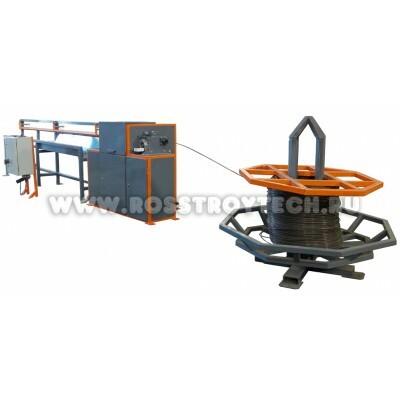 Rewinder is used for wire processing, for example, bobbins holder system for automatic welding, retail sales, etc.. Basic features: remote control allows to set desired weight; measuring device provides accurate wire weight measurement; accurate formation of wire bobbins on a remo..